“Electoral authoritarianism” is the most widespread form of authoritarianism in the world today. What distinguishes this form of government from traditional authoritarianism is the fact that elections are not only held — after all, the USSR also used to hold elections — but that they are regarded as the basic method of legitimizing the regime. Real power rests in the hands of an autocrat but the impression is given that it derives from the will of the electorate. The political regimes of Central Asia have always been authoritarian (except Kyrgyzstan, whose recent history does include some democratic episodes). Electoral authoritarianism is very convenient for rulers, particularly as it makes the regime presentable to the outside world. For even the most biased observer will admit that a situation where there are no elections and the opposition is not even formally allowed to participate has nothing to do with democracy. Rather, it is a tyranny. Terms such as a “hybrid regime” or “imperfect democracy” are far more acceptable. They are convenient for Western politicians who do business with these regimes as well as for investors. Nobody wants to have any dealings with a dictator – but an imperfect democrat is quite a different matter. The problem with electoral authoritarianism is that it is quite a complex political construct. The roots of this complexity lie in the very idea that you have to hold elections with a semblance of democracy while making sure the political result is predetermined and the opposition cannot use the election campaign to widen its influence. After all, the Serbian, Ukrainian and Georgian experience has shown what might come of this. Fortunately, there are technical solutions to all these problems. The problem with electoral authoritarianism is that it is quite a complex political construct. The roots of this complexity lie in the very idea that you have to hold elections with a semblance of democracy while making sure the political result is predetermined and the opposition cannot use the election campaign to widen its influence. Several of the solutions have been invented in Russia over the past few years. They are largely based on manipulation of the party system to achieve the desired political outcome. The first step is to raise the numerical barrier for allowing political parties to register: in Russia only parties with at least 45,000 members can aspire to registration. It is obvious that only organizations approved by the government can meet this requirement. The next step is to set unfeasibly high demands for the registration of candidates for elections, by forcing them to collect vast numbers of signatures, while at the same time retaining the right to decide which signatures are genuine and which are not, or by demanding a huge financial deposit as a precondition for registration. Uzbekistan’s Majlis. 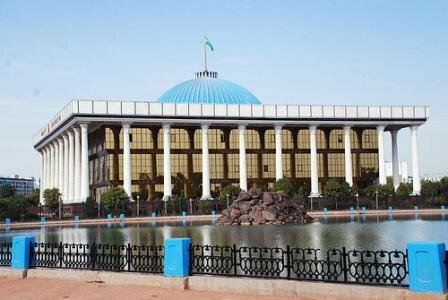 Four political parties are currently represented in the parliament, all supporting president Islam Karimov. However, the key invention of the Russian masters of electoral authoritarianism is the use of the proportional system as a way of preserving political monopoly. It is a rather unexpected but, come to think of it, quite logical technique. Once you have the party field under control, you must make sure the elected deputies do not rebel. Parliamentarians elected under a majority system have to contend with the problem of being directly linked to relatively small, compact groups of voters, whose demands they cannot ignore. A deputy elected under the proportional system, on the other hand, depends solely on the party, in other words, on the person who controls the party. The proportional system includes a further convenient piece of machinery that makes it possible to keep undesirable parties out of parliament. It is the extremely high threshold: in Russia it is securing 7% of the vote. All these inventions are the result of the decline of Russia's political system over the past few years, when it changed from being an electoral democracy to authoritarianism. The political regimes of Central Asia we turn to now have always been authoritarian (hence why I will not talk about Kyrgyzstan, whose recent history does include some democratic episodes) and started experimenting with elections quite early on (this explains why I will not be looking at Turkmenistan either, as elections there play no role whatsoever). 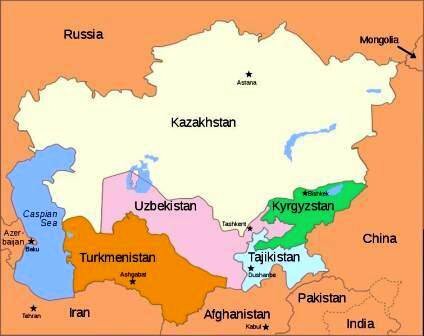 Kazakhstan and Uzbekistan have been ruled by the same individuals since communist times, while Tajikistan's Emomali Rakhmon, another former communist apparatchik, has been in power since 1992. Presidential elections in all three countries are completely fictitious. Nobody bearing even the faintest resemblance to a genuine opposition is allowed to contest them; only “technical” candidates are allowed, and they often openly encourage the electorate not to vote for them but rather for the official candidate. 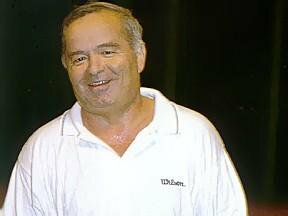 In 2006 President Rakhmon changed the constitution in order to allow him to remain in office for another 14 years. Islam Karimov in Uzbekistan simply ignored the constitutional limitation on the number of presidential terms of office, and in 2007 had himself elected for a further 7 years. Kazakhstan's Nursultan Nazarbaev had planned a referendum on extending his term of office until 2020, but changed his mind and decided to stand for another 7-year term. A date for the election has now been set. Presidential elections in all three countries are completely fictitious. Nobody bearing even the faintest resemblance to a genuine opposition is allowed to contest them; only “technical” candidates are allowed, and they often openly encourage the electorate not to vote for them but rather for the official candidate. This is quite understandable. The stakes are too high. It is parliamentary elections that serve as a showcase of electoral authoritarianism. Back in the 1990s these elections were held outside the party system, but in later years the urge prevailed to make a more effective use of these events and to make them resemble proper multiparty elections as much as possible. And this is where the Russian experience has come in very handy. 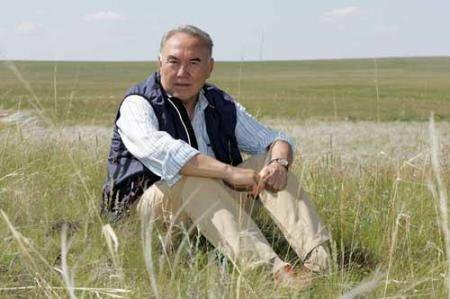 Kazakhstan's Nursultan Nazarbaev had planned a referendum on extending his term of office until 2020, but changed his mind and decided to stand for another 7-year term. Kazakhstan has gone furthest in adapting the Russian experience. Nur Otan, the “party of power”, established in 1999, is not very different from its Russian analogue United Russia. In the 1999 and 2004 elections a mixed electoral system was used, whereby 10 MPs were elected from party lists and 67 based on relative majority. In 2004 the Kazakh regime staged an election campaign closely modelled on Russia's 2003 campaign, when the “Homeland” bloc created with Vladimir Putin's support was able to sideline the traditional opposition and United Russia gained a majority of seats. In Kazakhstan on the other hand Asar, the second regime party, was not allowed even the semblance of independence, featuring President Nazarbaev's daughter at the head of its list. The Agro-Industrial Union of Workers (AIST), another party contesting that election, supported Nazarbaev. Nur Otan secured 42 out of the total of 77 seats, Asar a further 4 and the AIST bloc 12 seats. Ak-Zhol, the only opposition group allowed to take part in the election, received 12% of the vote, which translated into a single seat. While “parties of power” in Kazakhstan have emerged easily – seemingly out of nowhere — establishing an opposition party has proven far more difficult. A law requiring parties to have at least 50,000 members to register has been in force since 2002. That is not to say that opposition parties do not exist: Ak Zhol and Azat being the two major ones. However, these parties do not pose any threat to Nazarbaev. In the most recent parliamentary election, held in 2007, the proportional representation system with a 7 per cent threshold was used. This time, following the Russian example, Nazarbaev did not bother creating several “parties of power” and limited himself to just one, Nur Otan. It is possible that he has come to regret this later, as Nur Otan received an embarrassingly high 88% of the vote, winning all seats in parliament. There are rumours that this outcome had not been planned and that it happened because overly keen regional governors competed with each other to get out the best result for Nur Otan. Emomali Rakhmon’s rule is being plagued by corruption, vote rigging and unemployment that has forced around half of the male population to leave for Russia as guest workers. Tajikistan also has one opposition party, the Party of Islamic Rebirth (PIV). This party actually formed the core of the opposition that fought against Rakhmon in the Civil War that stretched from 1992 to 1997. It was considered dangerous to deprive it of legal status since it would pose a more serious threat if driven underground. Indeed, the PIV has not only not been banned but has been allowed to take part in parliamentary elections (although this has not stopped the authorities from subjecting its activists to systematic persecution). 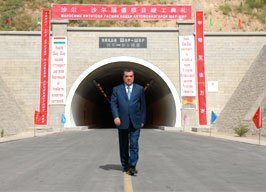 Apart from PIV, Tajikistan has a “party of power”, the National Democratic Party, and a few other groups that fully support Rakhmon's regime. The registration threshold is 4,000 members and since Tajikistan is a relatively small country, only parties supporting the regime can meet this requirement. The country uses a mixed electoral system, with 22 MPs elected on party lists and 41 in single ballot districts. In every election since 2000, PIV has gained two seats. PIV party leaders claim they have won up to 30% of the vote but the official count always happens to match exactly the figure that is needed to ensure these two seats. The fictitious opposition parties controlled by the regime tend to gain one or two seats, too, while the remaining seats go to the National Democratic Party. For example, in the last election, in 2010, it gained 55 seats. Islam Karimov in Uzbekistan simply ignored the constitutional limitation on the number of presidential terms of office, and in 2007 had himself elected for a further 7 years. Uzbekistan has come up with the most innovative way of applying the Russian experience. The regime in this country is, in fact, much harsher than those in Kazakhstan and Tajikistan. In Uzbekistan a legal opposition simply does not exist. To establish a party, 20,000 signatures have to be collected across the country. Not surprisingly, the number of Uzbek political parties is rather small. Currently there are four parties, all supporting President Karimov. None of them can be unambiguously classified as the “party of power”. For example, in the most recent election in 2009, 53 out of 135 seats went to the Liberal Democratic Party, 32 to the National Democratic party, 31 to the Democratic Party and 19 to the Social Democratic Party – obviously a multiparty system, just like those in advanced Western democracies, with no hegemony in sight. Unlike Russia, Uzbekistan has not introduced proportional representation. It did something much simpler: it retained the majority system but allowed only (loyal) political parties to field candidates. Uzbekistan has come up with the most innovative way of applying the Russian experience. The regime in this country is, in fact, much harsher than those in Kazakhstan and Tajikistan. In Uzbekistan a legal opposition simply does not exist. As this brief survey shows, the authoritarian regimes of Central Asia have adapted the Russian experience not just in a productive but also in a creative way, introducing original variations. All this might seem ridiculous were it not for the recent tragic turn of events in the Middle East. Today it is more obvious than ever that electoral authoritarianism, no matter how favourably looked on by Western diplomats and investors, cannot deceive the people who are forced to live under a dictatorship. It does not lead to stability and does not contribute to democratization, not even in the long run: practical experience shows that revolution is the only way of getting rid of this kind of rule. Under the guise of chattering about “democracy” and “hybrid regimes” primitive tyrannies are still blossoming in the world, using elections and the multi-party system as well as other “democratic institutions” as nothing but window-dressing.